Smith's fine art has recently appeared in London, Chicago, Austin, St. Louis and Kansas City. His work is also featured in The Loft, Wilco’s Chicago Recording Studio. And staying true to his roots, Smith has been an active member of various art organizations throughout the Midwest including The Gogh-Getters and Edwardsville Arts Center. He is currently co-founder and curator of The Gogh-Getters in Edwardsville, IL. In his spare time Kerry draws, writes, listens to music and enjoys life. 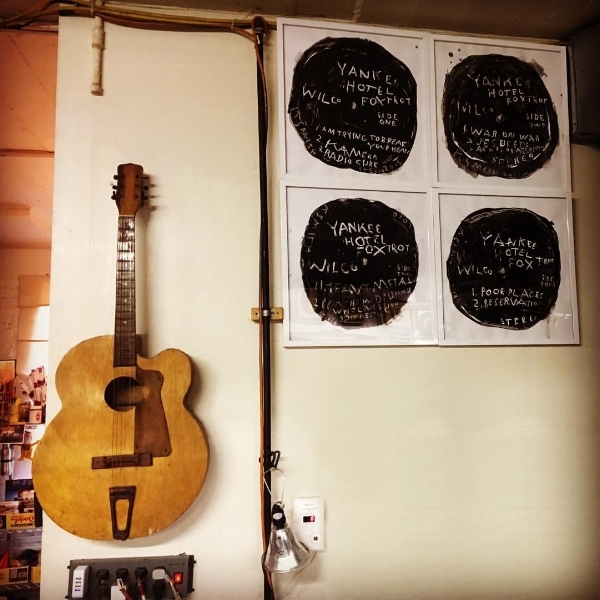 Kerry Smith's Off the Record paintings in The Loft, Wilco's Chicago recording studio.